Discover Oahu’s Wai’anane Coast on our Snorkel Tour, an ocean adventure with snorkeling, kayaking & more! 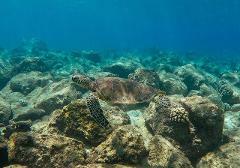 Discover Hawaii’s underwater world with this fantastic adventure tour. Visit West Oahu, where you set sail to 2 of the best snorkel spots on the island, and sail along Oahu’s coast. 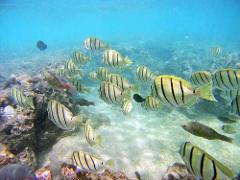 This package includes a dry snorkel, mask, fins, life vest and transportation from Waikiki and back. We will pick you up from Waikiki and bring you to our shop to get your snorkel equipment and then take you to Hanauma Bay. Looking for a fun adventure during your stay in Hawaii?! Book your snorkel tour with us today! 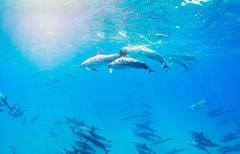 A can’t miss Hawaii activity, snorkel and swim with wild dolphins off Oahu’s coast. Jump in and witness the playful manner of Spinner Dolphins in their natural habitat.